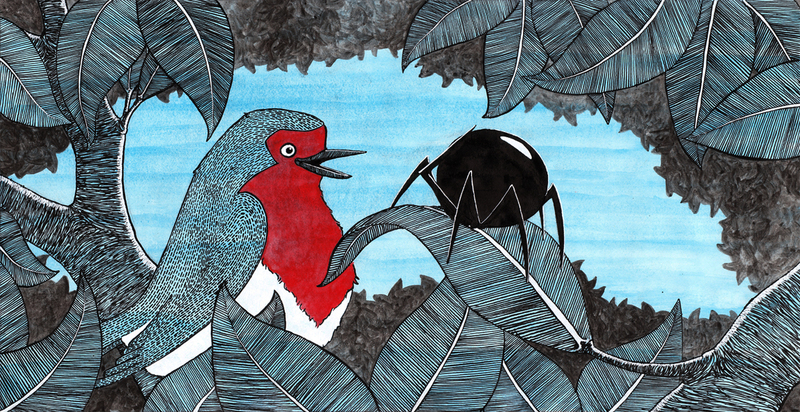 On his search for the red hat, the spider finds some other red things, like this friendly robin. Mr. Robin tells he saw lots of other red objects when he flew above the tree. That makes the search for the red hat not much easier!